Hauwa is a distinguished Chevening Alumnus, gender advocate, human rights activist, a professional Mediator and Conciliator and a lawyer with over twenty years post-call experience in women’s rights advocacy, conflict resolution, social research and consultancy. She obtained her first degree training in law from the Ahmadu Bello University, Zaria Nigeria in 1991 and had her Law School professional training at the Nigeria Law Shool, Victoria Island, Lagos. She was thereafter called to the Nigerian bar in December, 1992. In 2006, she won the British Government Chevening Scholarship and proceeded to London where she trained and obtained a post-graduate law degree in Law and Development from the School of Oriental and African Studies (SOAS) of the University of London in 2007. She is a registered member of the International Bar Association, Institute of Chartered Mediation and Conciliation, Nigerian Bar Association and a Life member of the International Federation of Women Lawyers (FIDA). Hauwa was the immediate Past National President of International Federation of Women Lawyers (FIDA Nigeria), where she was responsible for providing leadership for the professional organisation which has State branches spread all over Nigeria. FIDA is a voluntary not-for-profit organization of women lawyers committed to the promotion, protection and preservation of women and children’s rights, through the provision of pro bono legal services. She was a nominated delegate to the Nigeria National Conference 2014 where she represented the Women Groups under the auspices of FIDA and was part of fashioning out recommendations that was expected to usher in a new Nigeria if implemented. She is a regular commentator and public affairs analyst in Nigeria. She is a recipient of several awards from different organisations and institutions. 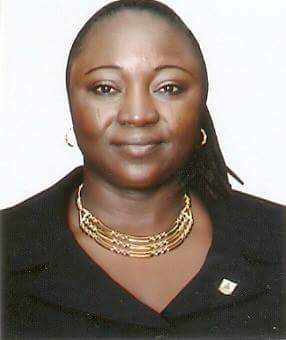 She has served as a board member of several NGOs including ActionAid International Nigeria, League for Human Rights and Nigeria Women Trust Fund. She was a pioneer participant of the British Council funded InterAction Leadership Programme in 2005 and the US State Department/Fortune 500 companies funded International Women Leaders Mentoring Programme in 2006. Hauwa is currently the Country Director of Ipas Nigeria an International Non-Governmental Organization that works to promote women’s health as well as advance their reproductive health and rights. She is also the Founding Partner of her law firm, H. E. Shekarau & Co. which is based in Abuja. Hauwa loves the Lord and is widely travelled.